Are we starting to see a new trend emerging with spaces that double up as places of learning but offer a little physical sustenance too? Painting, pottery, photography and life drawing classes fuelled by food and wine are popping up all over the place from Shanghai to California at the moment, and now it's come to Wavell Heights on Brisbane's north side. 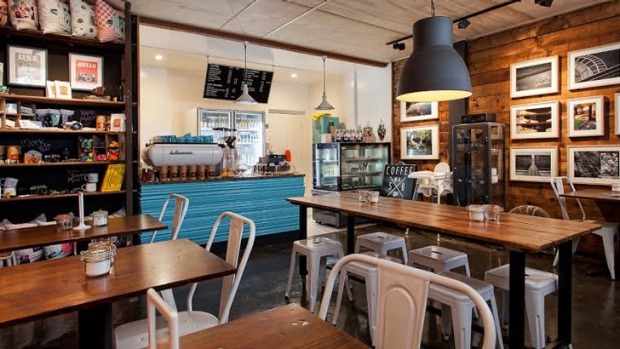 Architectural photographer Campbell Ship and wife Laura have just opened a coffee shop called Shutter & Brew, a cafe-come-photographic studio where you can go for breakfast, coffee and cake, or a lesson in photography. Formerly a professional architectural photographer, Ship says after many requests for tuition they were looking for a small place to lease to offer classes in photography and mentoring to up and coming photographers. "Then we thought we should have a little coffee machine to make great coffee for our clients", which grew into "why not sell great coffee to everyone AND teach photography?" Ship says. The coffee shop side of the business sells locally roasted coffee from Clean Skin Coffee, including cold press coffee, homemade tarts, biscuits, cakes and slices made by Laura and a small savoury selection such as corned beef and pickles on sourdough and ham and cheese croissants. On the other side is a range of handmade/bespoke photography related goods with Ship offering tuition and mentoring in photography as well as promoting local photographers via the gallery walls. Meanwhile, on the opposite side of town, budding artists can pick up a paintbrush in one hand and a glass in another at Cork & Chroma's "Paint and Sip" classes. The brainchild of Chicago-born Hillary Wall, the classes invites attendees, who need no experience whatsoever, to bring their own bottle of wine and be taught the basics of painting with acrylics on canvas with the end result a 40 centimetre x 50 centimetre masterpiece to take home. Wall, who's been in Brisbane just 18 months said the "Paint and Sip" classes were huge in the States. "I was surprised to find there was nothing like it here; Brisbane seemed like the perfect place for it, it seems like such an arty town. We've had a great response so far, people are really getting into it."